Imagination, speculation and description, three differently charged modes of address, are in this presentation used to develop ideas in front of an audience. The spectator is not directly participating in the performance but is never the less playing an active role in the encounter. Ideas around artificial nature, catastrophic constructions and the autonomy of objects are being processed through talking, gesturing and moving. Speech and physical actions are given equal value, while being used to materialize a virtual performance within the mind of the spectator. “Speculations” was shown in MDT during The Double Lecture Series, Oct 2011. “Radio Dance” is a solo dance performance that deals with dance and history filtered through a personal life story. 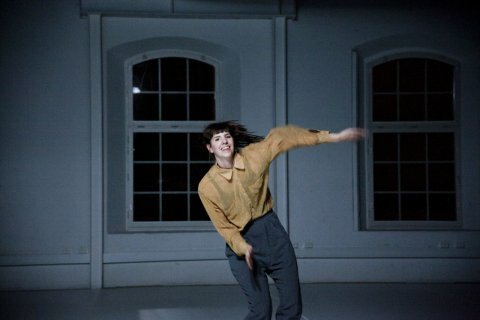 Nadja Hjorton uses the radio format and the performance moves through a subjective dance history that makes visible, and questions, a general dance history. 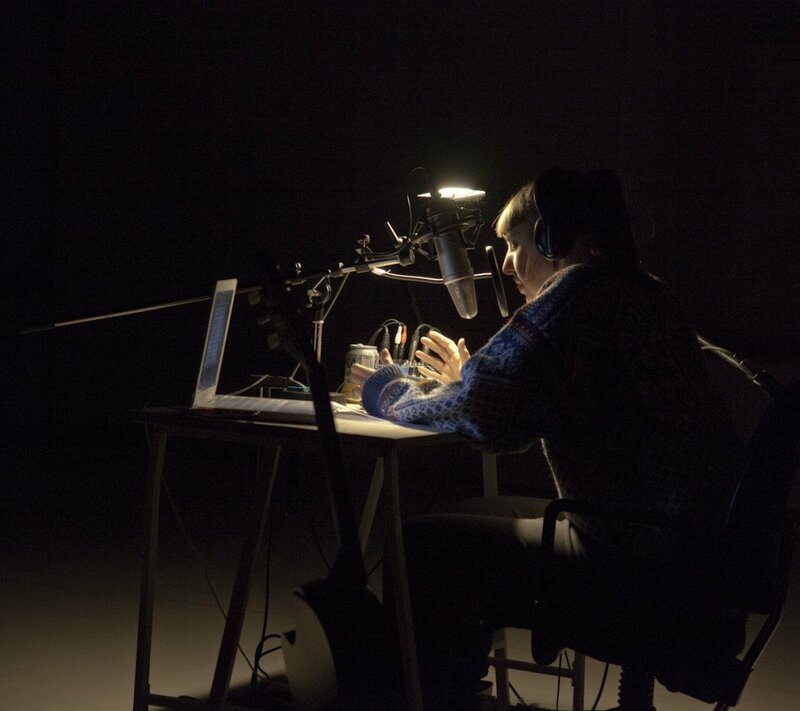 In the performance Nadja is broadcasting her radio program live, a program that covers her own life from childhood to adulthood with Sweden and the world’s political climate as a back drop. It is a program about dance and dancing. The autobiographical take in “Radio Dance” is also an attempt to talk about perspective – which artists and practitioners must relate to their history and which ones can ignore theirs? With a nostalgic touch and some sentimental fragments, “Radio dance” moves from the intimate to the large, from the personal to the common and from the past to the now. 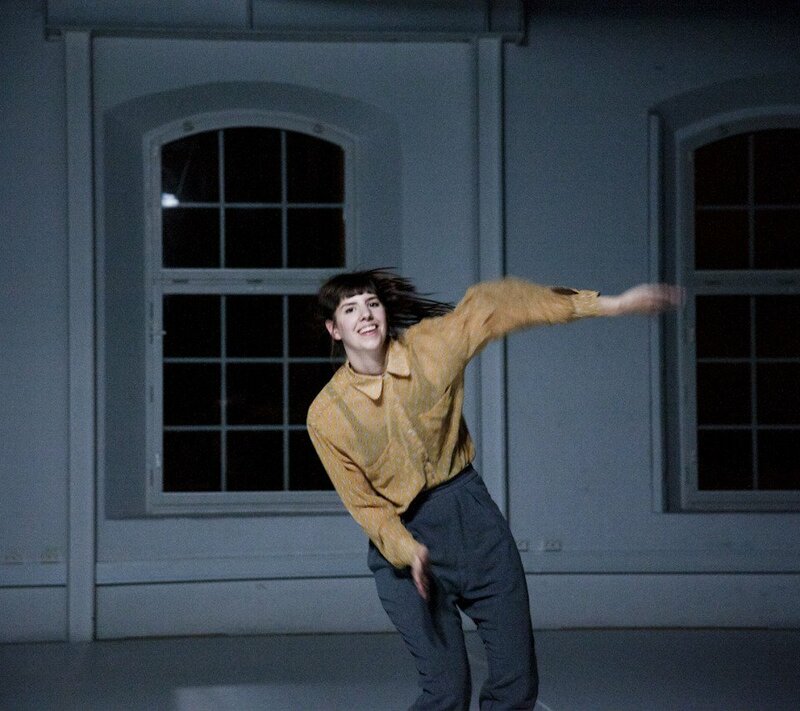 Through listening, dancing and storytelling Nadja Hjorton attempts to create an event that invites and allows its spectators to be both attentive and unwary. “Radio Dance was first shown in MDT in Dec 2012 as a part of “A night at the theater”. Mette Ingvartsen (DE), choreographer and dancer, educated in Amsterdam and Brussels. She graduated from P.A.R.T.S. in 2004. Since then she has made numerous performances, among others “50/50” (2004), “to come” (2005), “Why We Love Action” (2006), “It’s in The Air” (2008) “GIANT CITY” (2009) and “All the way out there…”(2011), co-produced by MDT and presented here in 2011. Questions of kinesthesia, perception, affect and sensation have been crucial to most of her work. Recently her interest has turned towards thinking choreography as an extended practice. Starting with “evaporated landscapes” in 2009, a performance for foam, fog, light and sound, this interest has led to a series of propositions that extend choreography into non-human materials. In 2010 she worked on several site-specific propositions, also dealing with notions of artificial nature. “The Extra Sensorial Garden” was presented in Copenhagen and “The Light Forest” was open to be visited during Szene Salzburg in July 2010 and 2011. Her latest work “The Artificial Nature Project” (2012) reintroduces the human performer into a network of connections between human and non-human actors. This work concludes the series on artificial nature. Mette Ingvartsen is artist in residence at the KAAITHEATER in Brussels from 2013 till 2016 and associated artist to the APAP network. Besides her performance work she is engaged in research. Her practice involves writing, making, performing and documenting work. 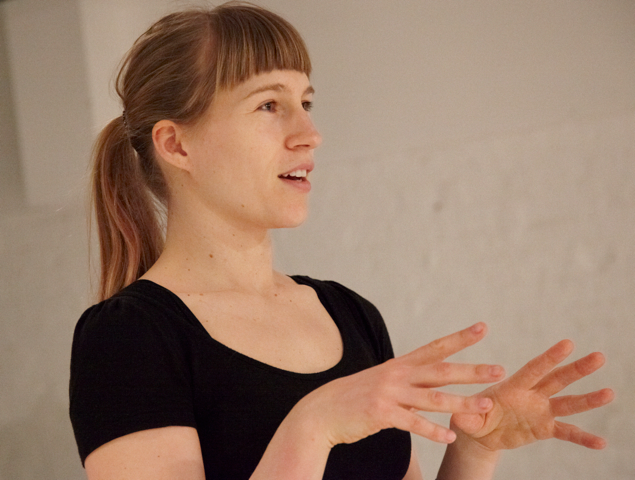 She teaches and gives workshops often related to developing methodologies within choreographic practices. Since 2005 she has been working on “everybodys”, an open ongoing collaborative project based on open source strategies, aiming at producing tools and games that can be used by artists to develop work. Nadja Hjorton is part of mychoreography and ÖFA-kollektivet. “Radio dance” is her exam piece at the MA program in choreography at DOCH (University of Dance an Circus). Nadja got her dance education at Balettakademien in Stockholm and Dansarutbildningen at DOCH. As part of the feminist collective ÖFA-kollektivet she has created and performed in several productions which has been presented in among others Imagetanz, Brut Institute in Vienna, Sommerzene in Salzburg, NORTH WIND in Berlin, TWEETAKT in Utrecht, Uppsala City Theatre and National Theatre, Red Dawns festival in Ljubljana. Spring 2012 she made the performance CRIME SCENES: at the City Theatre in Gothenburg together with Carolina Frände and in May 2011 Nadja and Chrisander Brun made the piece “40 MINUTER” , presented at MDT, for the bachelor students at DOCH.